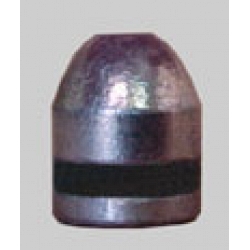 Lead bullet for practice shooting, competition matches, small and medium game. Design for light recoil. Work best with a Lee factory crimp die.